Many the job seeker has found that you can’t get a job without experience, and you can’t get experience without a job. The same can be true of credit. No one will loan you money if you don’t have a credit history, but you can’t built a credit history without getting some loans. It’s a frustrating situation for people who are trying to build or repair their credit, and it makes it difficult to get a car, cover moving expenses after college graduation, or even buy furniture. Fortunately, there are techniques you can use to bypass this maddening conflict and get yourself on the right financial track with a solid base for your credit future. These are a perfect cure for people who just need a small loan for basic needs but lack the credit to get other financing. Blue Trust Loans, an alternative to payday loans, requires only proof of employment, a social security number, and an active checking account in order to apply. The money can be accessed quickly, and they present a number of options for repayment in order to accommodate your personal situation. You can pay it off aggressively, but you can also choose a more leisurely pace to ensure that you have some flexibility for unexpected expenses. Once you’ve paid the loan in full, there’s a good notation made on your credit report, and you’re on your way. For many people, the word “co-signer” carries lots of negative baggage. They envision having a friend or relative hovering over them until the loan is paid back, and for the co-signer, there is the fear of the borrower defaulting and the co-signer getting stuck. While both of these scenarios can happen, they only take place in the absence of the most fundamental requirement of a co-signing arrangement, which is a positive relationship between the two parties. The borrower must know that the co-signer will not exploit the situation, and co-signer must be able to trust the borrower fully. That requires an adequate level of income and responsibility from the borrower, something that only their closest associates will fully know. Properly structured, co-signed loans can be very beneficial to the borrower and present no risk to the co-signer. It may sound backwards, but sometimes it’s best not to pay cash. This is especially true when you’re trying to build credit. If you’ve just gotten your diploma and all your family has congratulated you with cash, don’t go buy everything you need to start out on your own. Instead, see if you can find a lender like Blue Cash that will finance a small loan, and have it paid automatically out of an account you’ve opened with the gift money. Your earnings from work will cover your regular expenses, yet you’ll still be able to cover the loan payments. And your credit will build with each on-time payment you make. It’s worth noting that you will have to pay some interest in this arrangement. If that concerns you, ask yourself if you would be willing to pay an equal amount to give your credit score a boost. If so, it’s a good option. 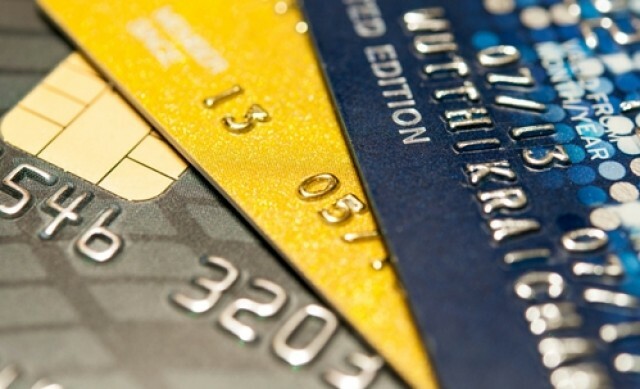 Building your credit is incredibly important. It will allow you reach the goals you have for your home, transportation, and even recreation and education. But you’ll only build enough credit to qualify for the best interest rates–or for the loan at all–if you can find an opportunity to get that first loan and to pay it off successfully. After that, it will get a little easier each time.